Novia Ltd is a specialist packaging and construction membrane company based in Maidstone, Kent. It was was founded in the early 1990s. Today Novia the UK market leader in building papers, supplying a wide range of well known builders merchant and insulation distributors across the country. The core range is BS 1521 Building Papers. Novia's extensive product range includes high quality breather membranes, vapour control layers, and gas barriers. Novia products meet all relevant current standards. 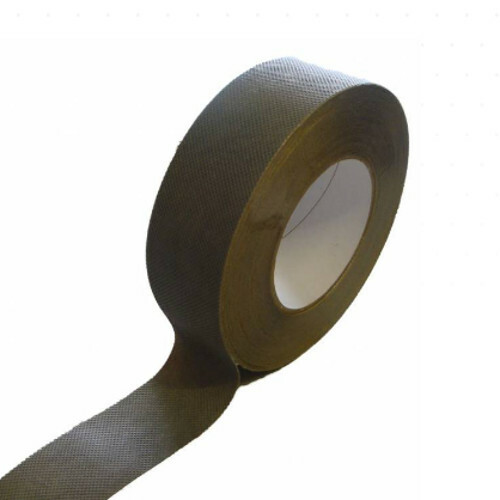 15mm Novia Double-Sided Butyl Tape is a high performance, cost effective, non-toxic polyisobutylene (PIB) based sealing tape, which is used in a wide range of applications where products or installations need to be sealed against air and water ingress. 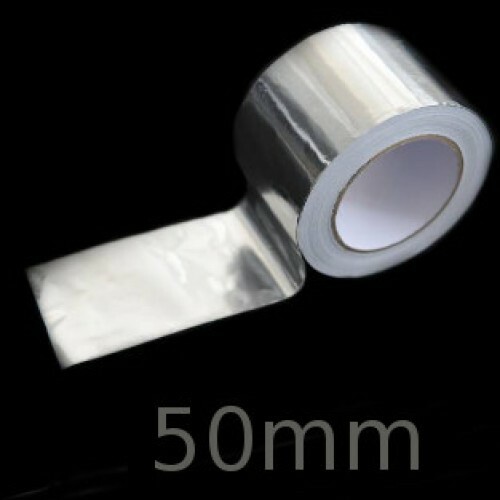 Its strength and adhesion secure the membr..
50mm Novia Aluminium Foil tape is a high tack single-sided tape for use as a lap seal in Gas Barrier DPM installations or for Vapour Control Layer applications in walls and ceilings of insulated constructions. 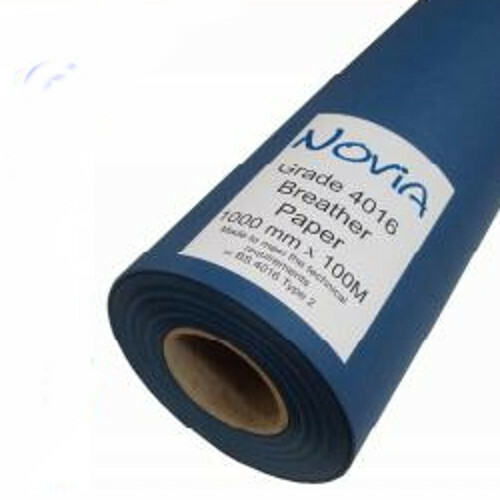 It is also suitable for use in damp proof membrane applications as a single sided lap..
50mm Novia Breather Membrane Lap Tape is a sealing and bonding tape suitable for sealing laps on external breather membranes for roof and wall applications. 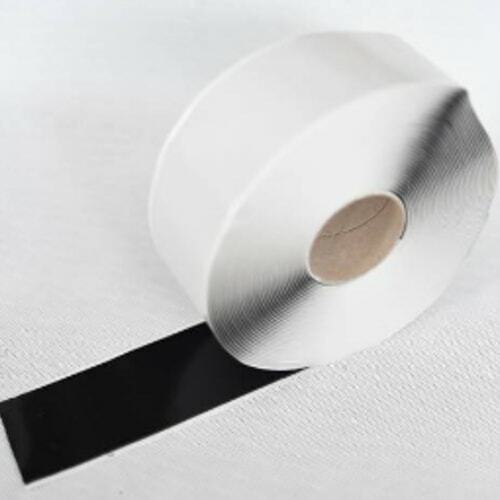 Its made of Acrylic dispersion adhesive on a polypropylene non-woven carrier, covered with a brown silicone release paper.APPLICATIONFor sealin..
50mm Novia Double-Sided Adhesive Tape is a high tack and good cohesion lap sealing tape for breathable or temporary protection membranes. 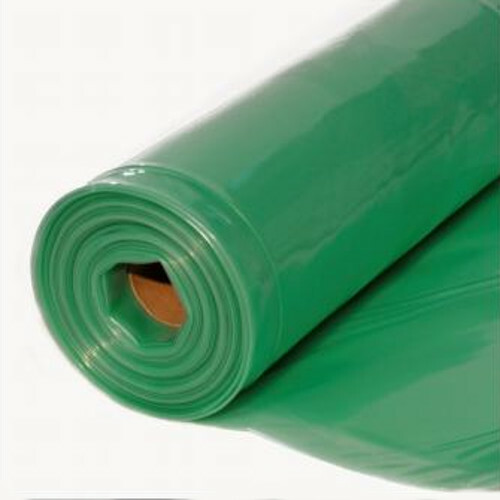 Its made of a clear synthetic rubber adhesive which is free of plasticisers on a cloth carrier. Its covered with a yellow silicone coated release paper. 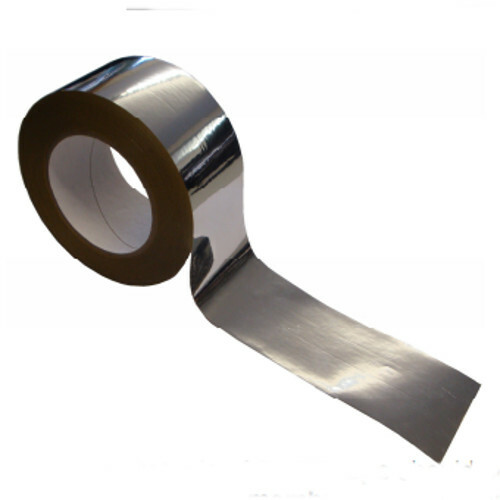 Note..
60mm Novia Metallised BOPP (Biaxially Oriented Polypropylene) tape is a high strength, high tack, reflective tape for vapour control and damp proofing applications and is the final barrier to improve air tightness. 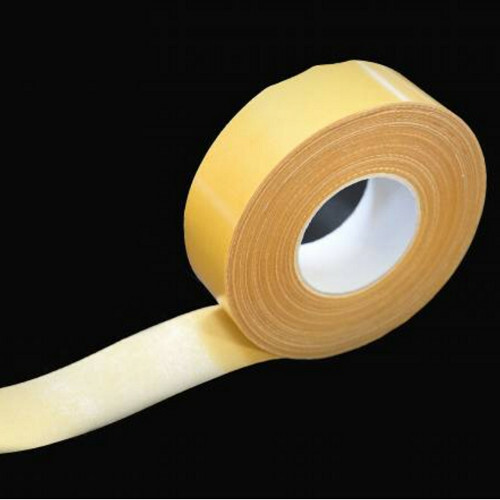 It should be used in conjunction with Double Sided Butyl tape and becomes the final s..
Novia 1000g Vapour Control Layer is a traditional specification, single-ply, non-laminated, virgin grade blown polythene material for use as an air leakage barrier and vapour control layer (AVCL) in insulated wall, roof and floor applications. 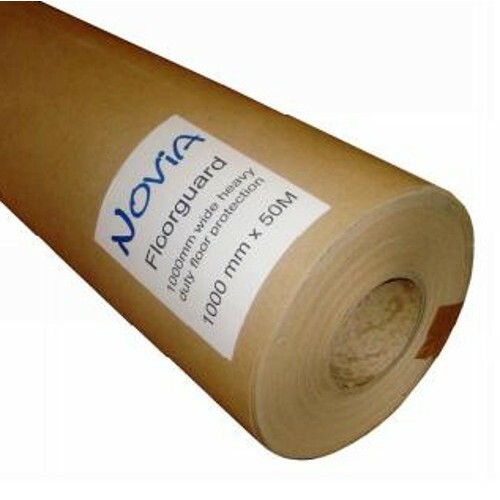 Novia 1000g must be installed in conjunction with Novia ..
1200g Novia Radon Barrier Membrane is an approved blown polythene material, suitable for use as a loose-laid Radon Barrier Damp Proof Membrane for solid concrete ground floors that are not subject to hydrostatic pressure. 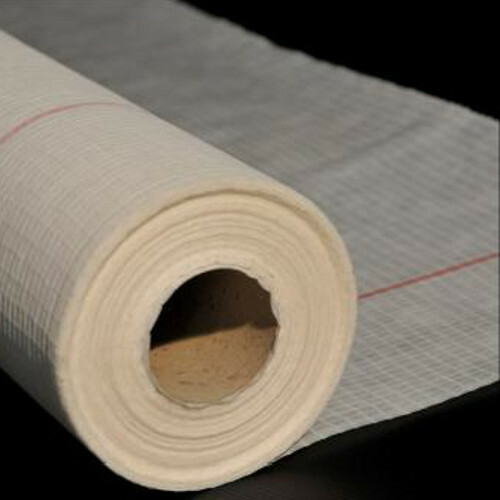 This membrane meets the requirements for use as a gas control membrane against..
Novia 1200g Vapour Control Layer is a traditional specification, single-ply, non-laminated, virgin grade blown polythene material for use as an air leakage barrier and vapour control layer (AVCL) in insulated wall, roof and floor applications. Novia 1200g must be installed in conjunction with Novia ..
Novia 500g Vapour Control Layer is a traditional specification, single-ply, non-laminated, virgin grade blown polythene material for use as an air leakage barrier and vapour control layer (AVCL) in insulated wall, roof and floor applications. 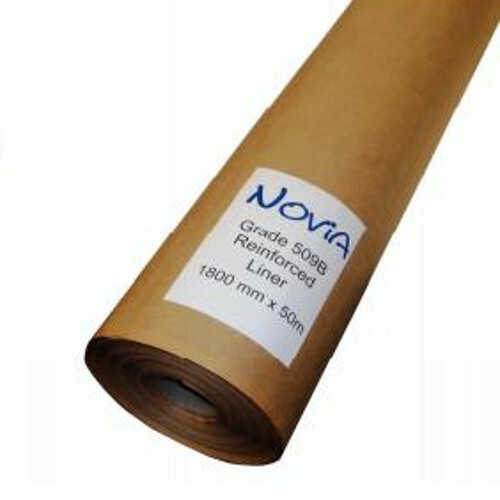 It is is particularly suitable for use in residential tim..
Novia 509B Shed Lining Paper is suitable for use in a wide range of garden structures and adds an extra level of protection to your building by creating a wind proof and waterproof outer layer. 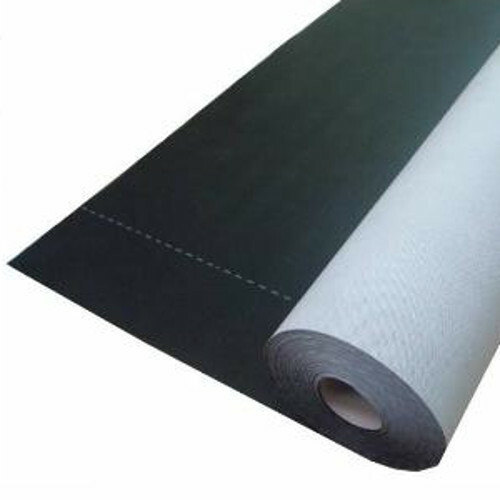 It is an ideal option for uninsulated garden structure construction and for renovating a current uninsulat..
Novia Black 115GSM Roof and Wall Breather is a low weight, high performance breather membrane suitable for use as a breathable roof underlay. It is suitable for direct installation over insulation, boarded roofs or rafters. It has an excellent water resistance. 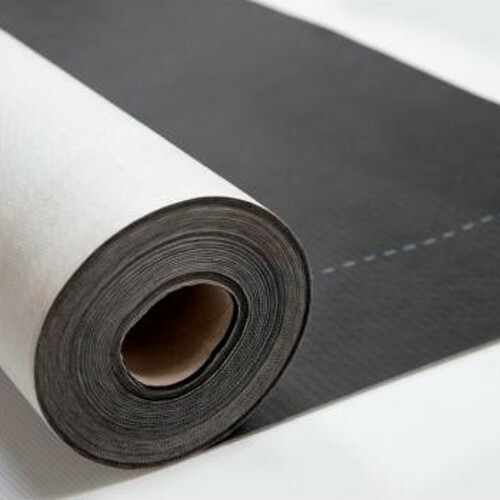 Novia Black Breather is suitable for a..
Novia Black High Performance Construction Wrap is a high quality, versatile, high performance breather membrane for all insulated frame applications. 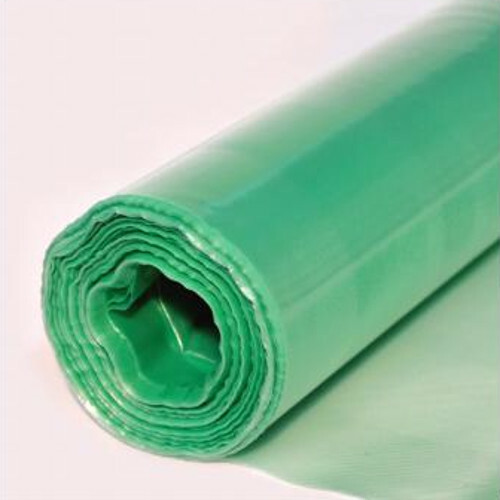 This construction wrap complies with EN 13859-1 for pitched roofing and EN 13859-2 for walls. Novia Black High Performance Construction Wrap has the m..
Novia Black Pro 146GSM Roof and Wall Breather is a premium quality, versatile, heavyweight, very strong breather membrane for all pitched cold and warm roofs, and insulated wall applications. It has excellent water resistance and also provides high breathability. 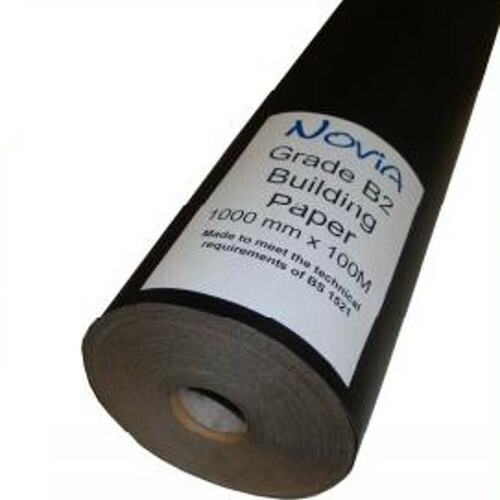 Novia Black Pro is completely black ..
Novia BS 1521 Grade A1F Building Paper is a traditional, reinforced kraft paper bitumen-bonded, building paper laminate for use as a waterproof building paper. 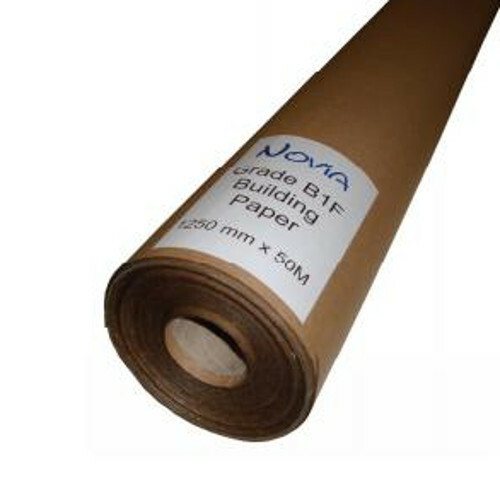 It is manufactured with wet-strength kraft paper and meeting the technical requirements of BS 1521 for water-proof building papers, the prod..
Novia BS 1521 Grade B1F Building Paper is a traditional, reinforced kraft paper bitumen-bonded, building paper laminate for use as a waterproof building paper. 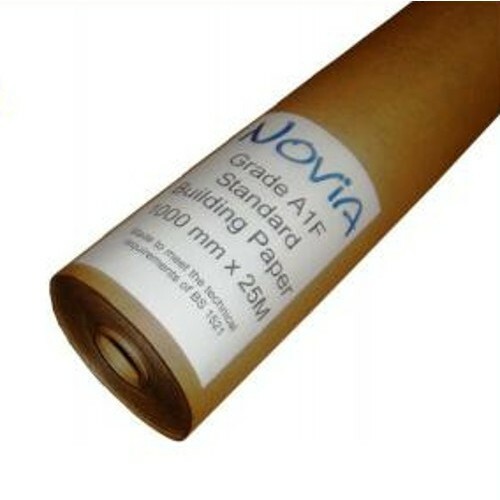 It is manufactured with wet-strength kraft paper and meeting the technical requirements of BS 1521 for water-proof building papers, the prod..
Novia BS 1521 Grade B2 Building Paper a traditional, non-reinforced PE coated wet-strength kraft waterproof building paper as a waterproof building paper. 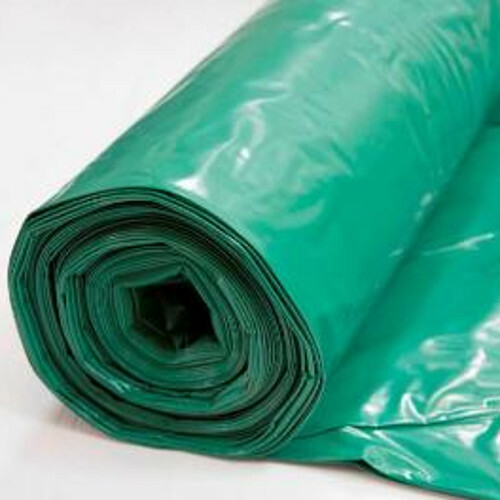 It is an excellent low-cost material with good grease and solvent resistance. 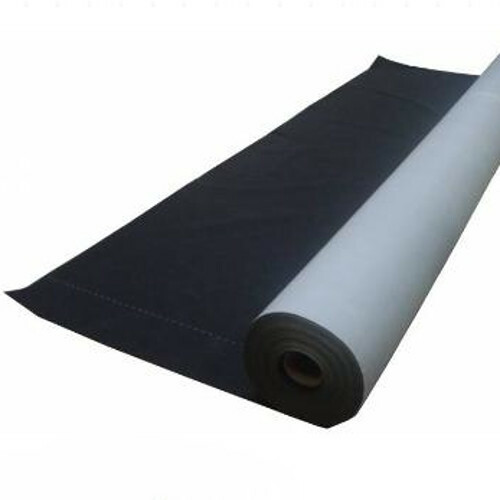 It is used as general temporary protection, concrete shutteri..
Novia BS 1521 Grade Polybit (Polythene Coated A1F) Building Paper is a traditional, polythene coated, reinforced kraft paper bitumen-bonded, building paper laminate for use as a waterproof building paper. 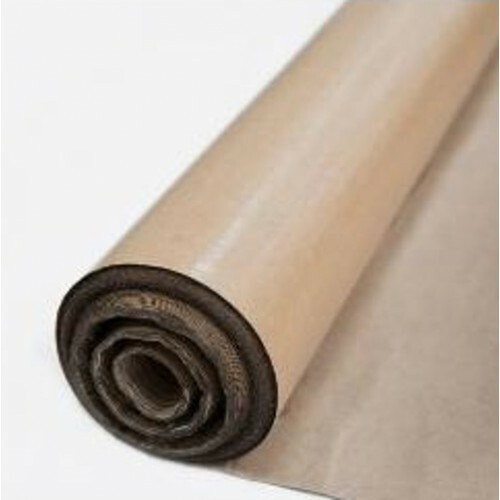 It is manufactured with wet-strength kraft paper and meeting the technical requi..
Novia 4016 Blue Breather Paper is a traditional wall breather membrane, made to meet the requirements of BS 4016 Type 2. 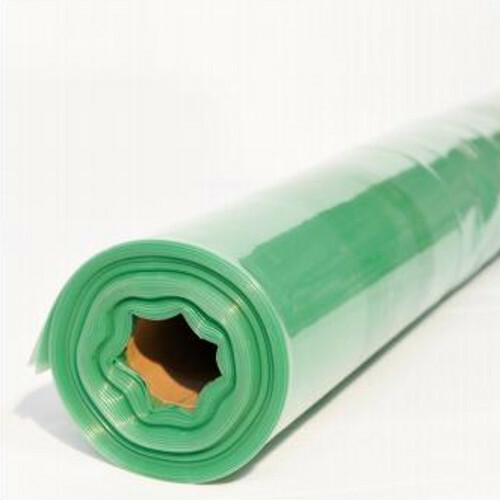 This is a CE Approved product for use as a Breather Membrane to EN 13859-2 (Part 2 Underlays for Walls) and is fully CPR compliant. This blue coloured breather membrane paper is i..
Novia FF1 Foil Faced Building Paper is a BS 1521 compliant grade of low emissivity, foil-faced, scrim-reinforced, bitumen laminated traditional building paper use as an air leakage and vapour control barrier applications for insulated walls, roofs and floors. It has a very high diffus..
Novia Floorguard is a basic low-cost recycled grey board suitable for all general temporary protection applications. 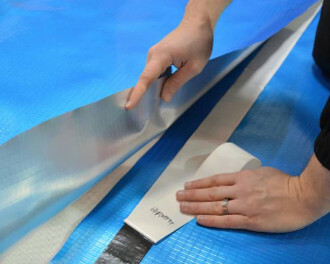 It is water and slip-resistant and can be quickly and easily cut to fit any awkward shapes found on site.CHARACTERISTICS500 microns thick,Water resistant,Slip resistant.APPLICATIONFor..
1m wide Novia FSPE Insulation Facing membrane is a 5x5mm scrim reinforced 18 micron aluminium foil PE laminate, achieving a Class 0 fire rating to BS 476 when used as a facing on suitable insulation substrates. 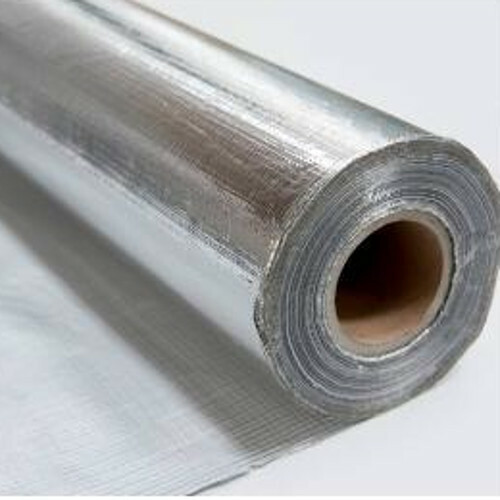 Its 18 micron aluminium foil coating can offer enhanced U values within roof and wal..
Novia Methane Pro Damp Proof Membrane is a premium specification multi-layer laminate membrane incorporating reinforcement and an aluminium foil core for use as a methane and CO gas barrier in groundwork applications. 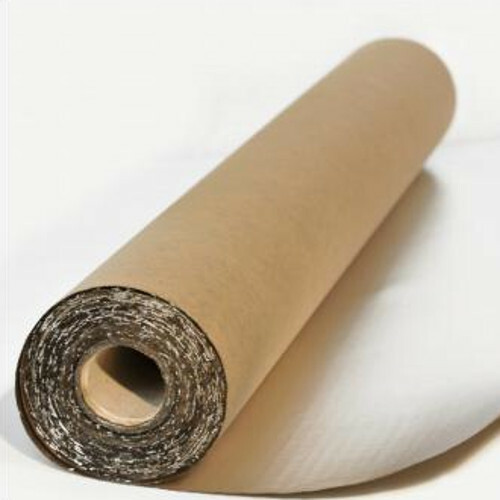 It can also be used in radon gas barrier and damp proof membrane applications. 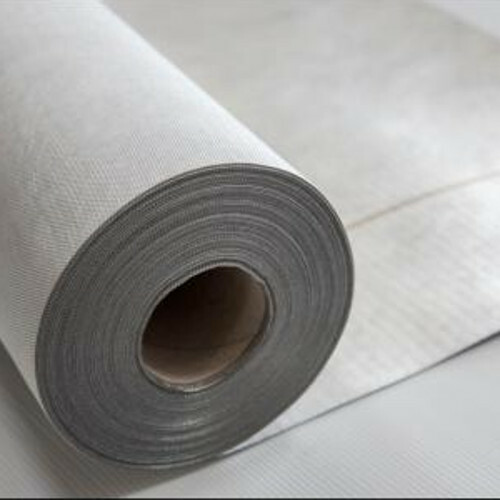 &nb..
Novia Reflex Reflective Roof and Wall Breather is a strong, lightweight, high quality low cost reflective breather membrane for all pitched cold and warm roofs and insulated wall applications. 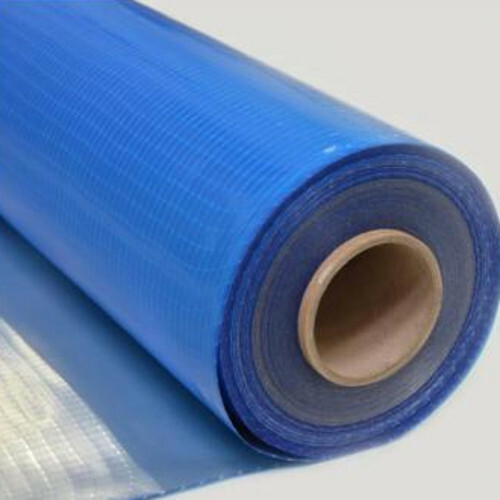 It can be installed in roofs as an ordinary breather membrane. This membrane can be installed upside down i..
Novia Reflex XL Reflective Wall Breather is a premium quality, versatile, heavyweight, very strong breather membrane for insulated frame wall applications. It has the highest rating of water resistance W1 to EN 1928 and also provides high breathability. A special coating applied on the breather..
Novia STRP (Super Tough Reinforced Polythene) Pro Vapour Control Layer is a premium specification reinforced and foil laminated polythene vapour control membrane for use in insulated wall, roof and floor applications. 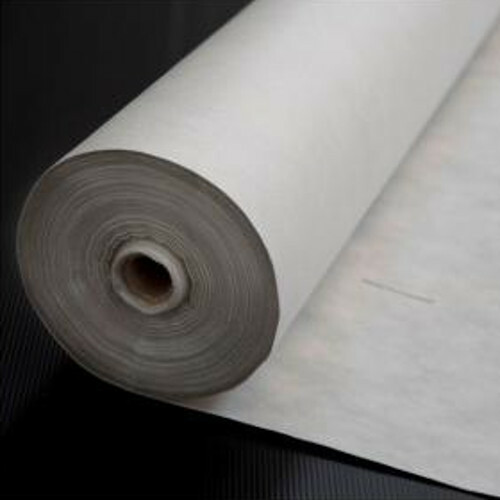 Specially suited for warm flat roofs, where very high concentration..
Novia STRP (Super Tough Reinforced Polythene) Reinforced Vapour Control Layer is a high specification, very strong, flame resistant, reinforced and foil laminated polythene vapour control membrane for use in insulated wall, roof and floor applications. Specially suited for warm flat r..
Novia Ultra 100GSM Roof and Wall Breather is an entry-grade, versatile, ultra-low cost breather membrane for use in pitched cold and warm roofs, and insulated wall applications. It has good water resistance with high breathability, The membrane is coloured light-grey on one side and white on the oth..
Novia VC2 Air Leakage and Vapour Control Layer is a technologically advanced, flame resistant, reinforced and air-tight vapour check membrane for use as an air leakage barrier and vapour control layer (AVCL) in insulated wall, roof and floor applications. This membrane adds an extra level of sa..
Novia VC200 Reflective is a technologically advanced, high performance, reflective and air-tight vapour control membrane designed for use as an air leakage barrier and vapour control layer (AVCL) in insulated wall, roof and floor applications requiring high moisture resistance. 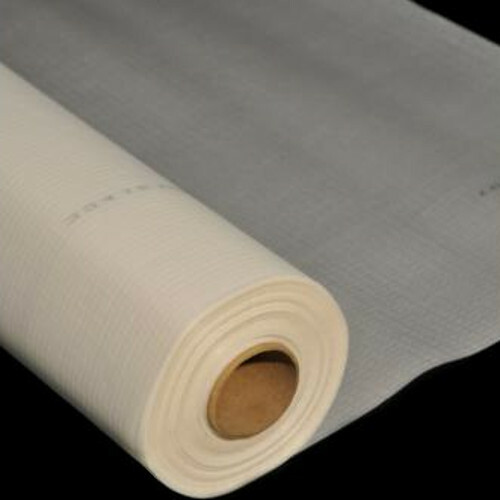 It is of a low vapour..
Novia VC2T Reinforced Synthetic Laminate is a lightweight, easy to use flame resistant temporary protection, which replaces the old-style kraft paper.CHARACTERISTICSHigh quality low cost solution, Lightweight, yet strong and tough, HDPE scrim reinforced, Suitable for a wide range..